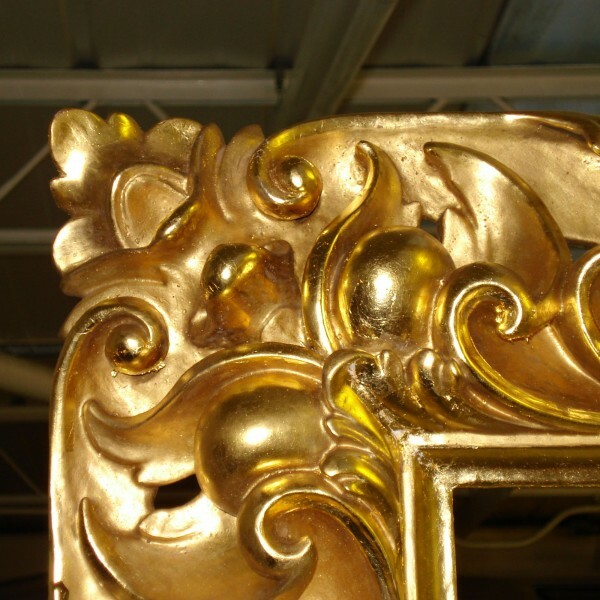 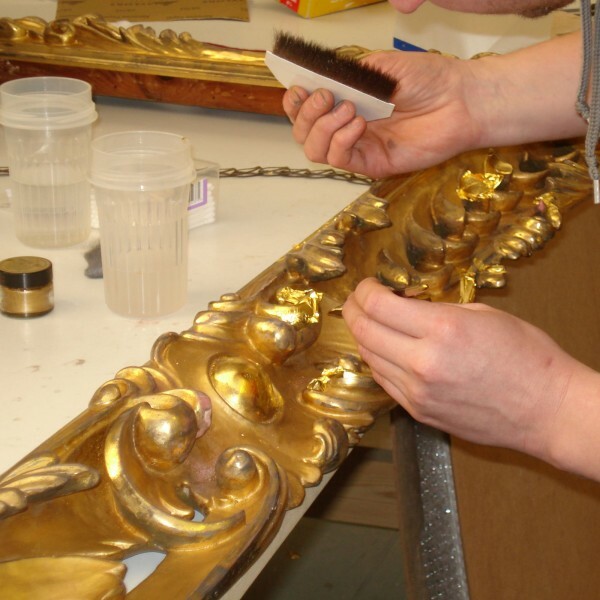 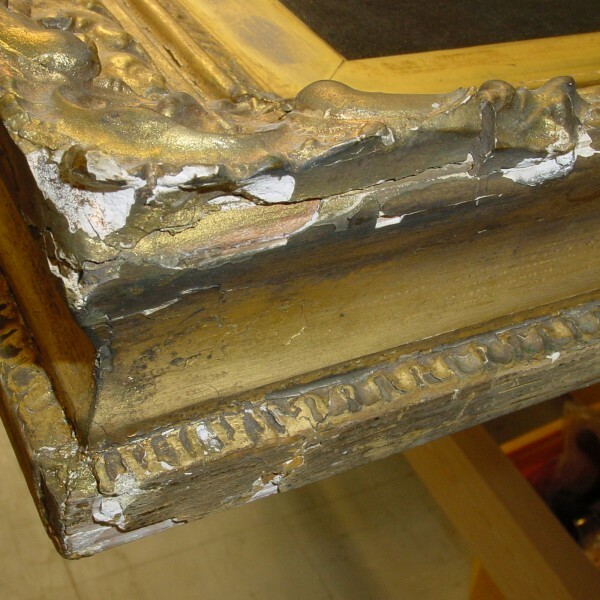 The process of repairing and re-gilding a damaged frame involves using traditional methods to address damage to the gesso under the surface, to consolidate the wood where it has become detached or loose and remove dirt built up on the gilded surface. 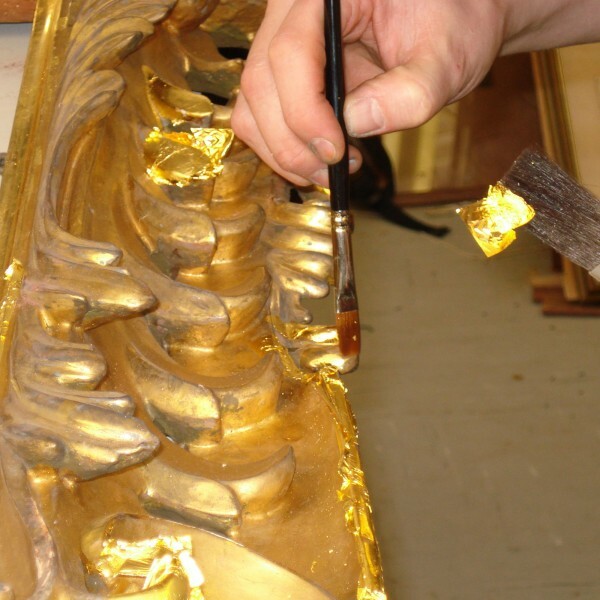 Areas of loss are filled, re-modeled then gesso is applied to the surface before the final application of gold leaf either in the form of water or oil. 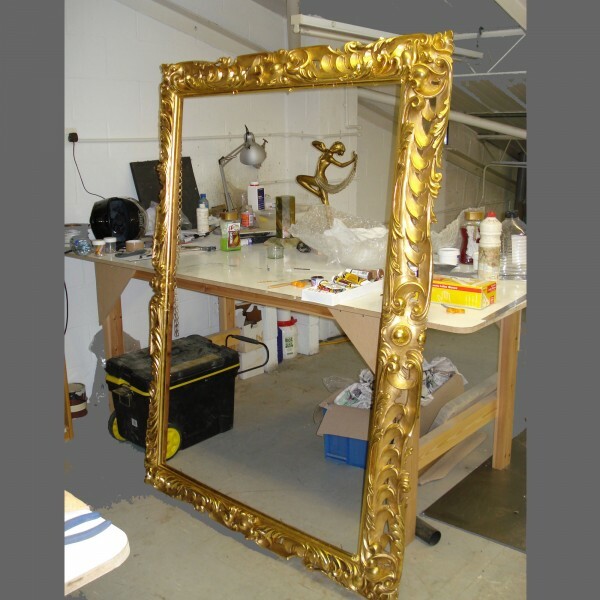 The finished area can then be burnished to tone in with the overall colour of the piece.